Have the objectives of the Batteries Directive been met? The overall aim of this study is to provide evidence to assess whether the objectives of the Directive 2006/66/EC (the Batteries Directive) have been met. Moreover, the study analyses whether the Directive’s provisions are sufficiently implemented, and whether – as a result of both aspects – the Batteries Directive supports the general objectives of the EU’s environment policy. 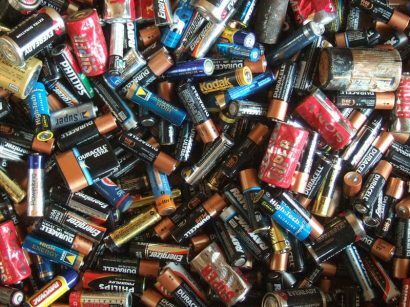 The main objective of the Batteries Directive is to minimise the negative impact of batteries and waste batteries on the environment (by maximising recycling). It also intends to ensure smooth functioning of the internal market, avoiding competition distortion. At last, the Directive seeks to improve the environmental performance of batteries and of the activities of all economic operators involved in the life cycle of batteries. The study will be executed in collaboration with Oeko Institute (project lead) and EY. The study process follows the European Comission’s guidance for evaluations and considers the relevance, coherence, effectiveness, efficiency and EU added value of the Directive’s provisions and the legislation implementing it. This entails compiling, assessing and synthesising evidence related to the requirements established by the Directive and their impacts. Identified shortcomings will be looked at, to ascertain whether they result from the legal instrument itself, or from implementation, monitoring and control activities by Member States. The assessment will take into account recent evolutions of technical aspects and of the use of batteries, and consider how the reuse, recycling and collection of batteries can be enhanced based on evidence of best practice in the current implementation. A specific task of the study (carried out by Trinomics) consists of assessing the implementation of the Directive at national level, based on an analysis of Member States’ national implementation reports. The results of the evaluation study are expected to be published soon on the official project website, as well as on the official webpage of the European Commission here.